We're living in a world where electronic calculators are everywhere. You can buy simple ones for under $10, fancy ones that can calculate differentials and integrals in seconds, and tiny ones that are no bigger than a business card. 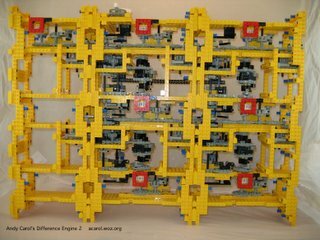 This impressive conglomeration of legos is actually a re-vamped version of the a Babbage Difference Engine. Basically, it evaluates polynomials at multiple points, making it possible, to generate plenty of data that can be used in the tables which used to be a part of every mathematician or engineer's life. 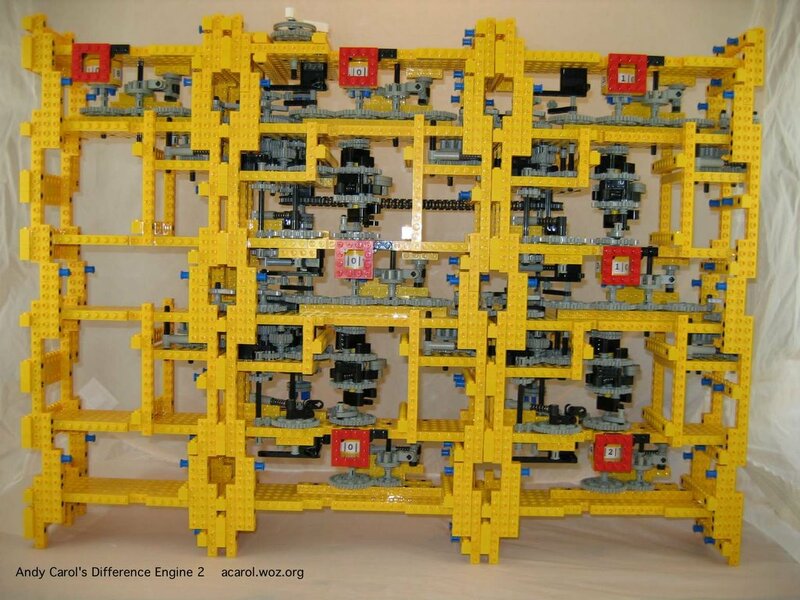 It's not very advanced mathematically, but mechanically these machines are real wonders.